Ships today if you order in the next 1 hours 15 minutes. If you've made the proper changes to your daily diet and exercise program, but are still in need of a little extra support to help maintain a healthy body weight, Garden of Life offers a great option. Dr. 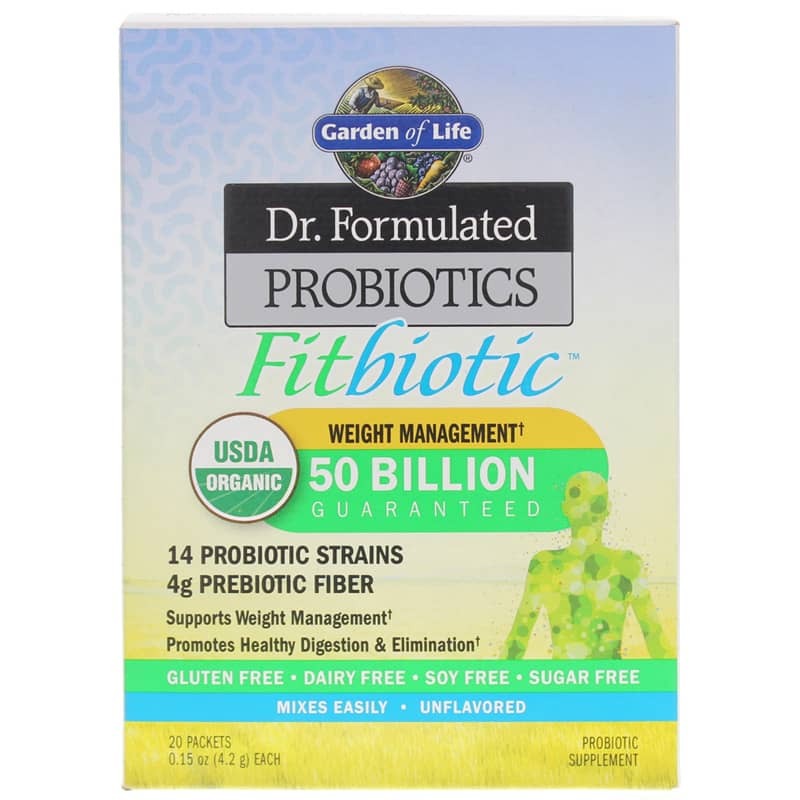 Formulated Fitbiotic is a unique probiotic supplement that supports gut and digestive health, and supports a healthy body weight as well. Dr. 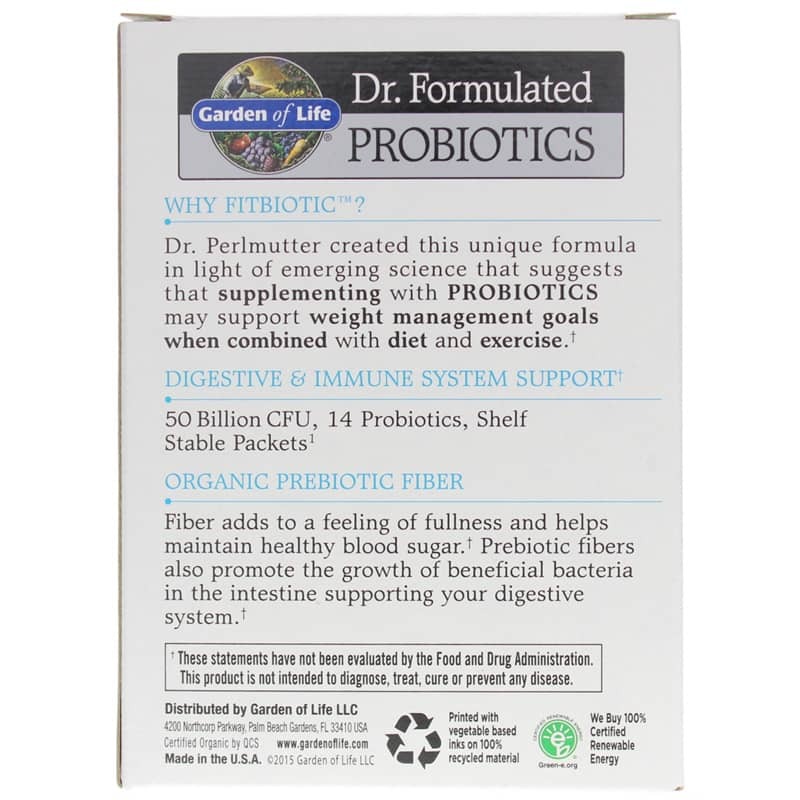 Formulated Fitbiotic from Garden of Life comes in convenient shelf-stable packets. 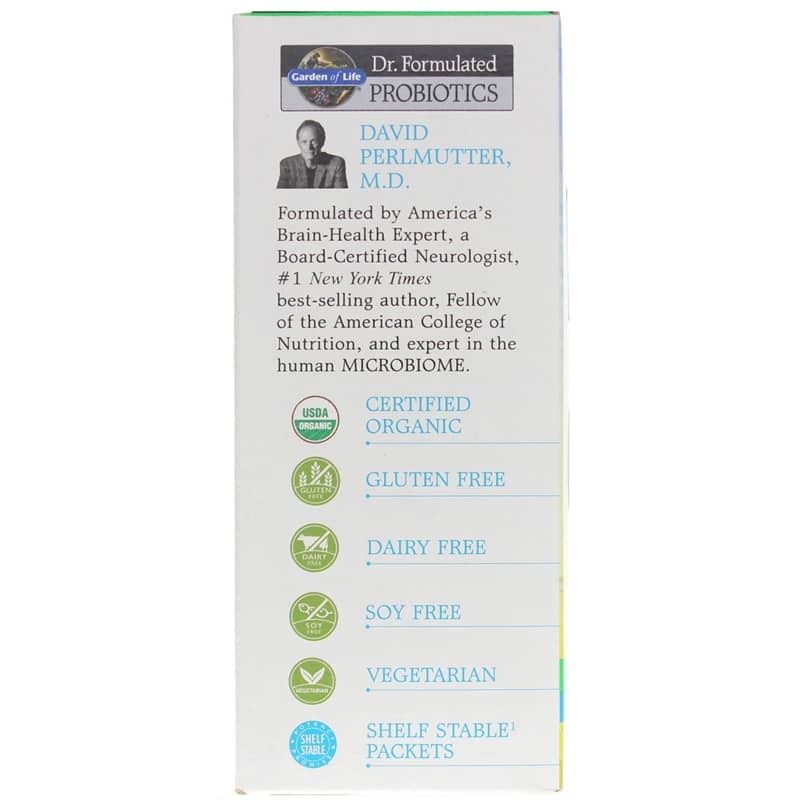 It is certified organic and vegetarian-friendly, and contains no gluten, dairy, sugar or soy. Just one packet every day supports appetite control, gut health, proper digestion, and more. Contains NO: Gluten, dairy, soy, sugar. Certified Organic. Vegetarian. Adults: Take one packet daily with unheated food or beverage. Not intended for children. 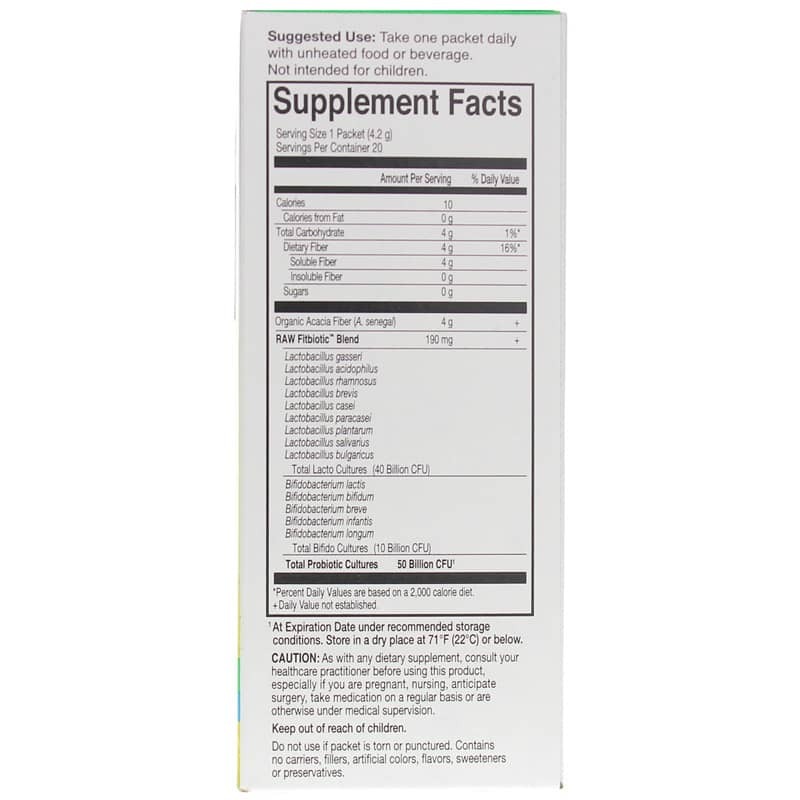 As with any dietary supplement, consult your healthcare practitioner before using this product, especially if you are pregnant, nursing, anticipate surgery, take medication on a regular basis or are otherwise under medicals supervision. Keep out of the reach of children.